The Lexus RC F Rift demo, powered by the Oculus Rift. 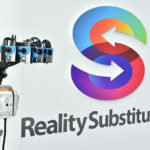 The automotive industry is already reaping the benefits of virtual reality technology in bringing helpful information about cars even closer to the general consumer. 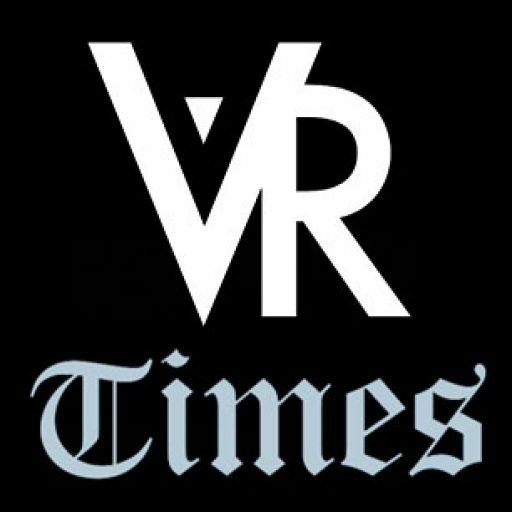 Whether a potential buyer looks for safety features or just exploring the capabilities of a car, virtual reality is doing its job to help make better buying decisions. 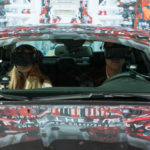 During the recent annual New York Auto Show, top automobile manufacturers have showcased virtual reality simulators that give helpful insights to the car-buying crowd. 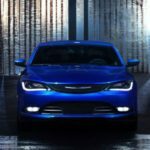 Top car makers Toyota, Chrysler, and Lexus are present during the New York Auto Show to further elaborate about their latest developments in car technology. With the help of the Oculus Rift, car marketing has never been so immersive and informative at the same time. These three car makers have set up interactive booths on the car show’s exhibition hall – these booths are equipped with the Oculus Rift VR headsets, which are open for anyone on the event to experience. Toyota’s Distracted Driving Simulator, also called TeenDrive365, aims to give a real-life scenario simulation of public driving safety. This lets the user to think about how his driving behaviors can affect the way he drives. This simulator is an invaluable tool for educating drivers about the safety considerations in driving. It operates by introducing common road distractions that a driver faces in everyday driving, including noise and text notifications. 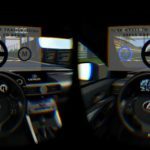 The driver is put behind the wheel of a real Toyota Corolla LE ECO, which is connected to an Oculus Rift headset, and must drive successfully – without crashing – even with all the distractions around him. Chrysler teleports show attendees to a virtual world, showcasing a virtual tour of the car company’s manufacturing facility in Sterling Heights, Michigan. Riding on a real 2015 Chrysler 200C, the user is then welcomed to a virtual vehicle appearing on the Oculus Rift headset. The virtual car takes the user to Chrysler’s car plant where interactive menus appear, letting the user to select any option to explore the facility. Lexus has set up an interactive kart-like contraption called the RC F Rift. Its car simulator’s design is similar to arcade-style car simulators, featuring real parts of the Lexus RC F car. 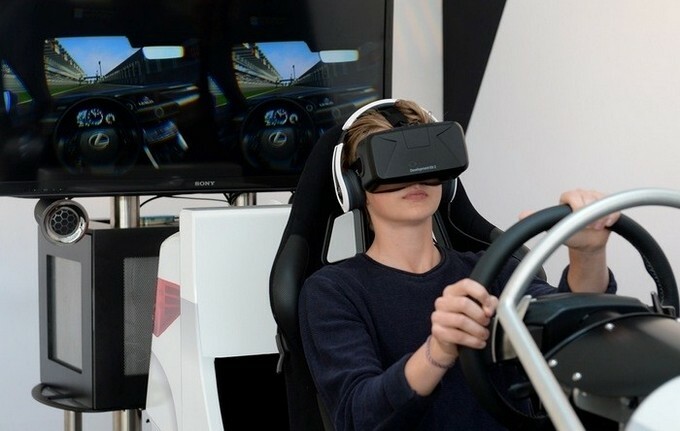 The user operates the real steering wheel and foot pedals along with the attached Oculus Rift headset to experience virtual driving on some of the world’s most famous racetracks, such as the Fuji Speedway in Japan. 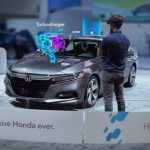 The interactive car demos powered by virtual reality are just the beginning of VR’s foray into the future of car marketing. We shall expect a lot more from the automotive industry with VR car demos from other top car makers.